In the commercial real estate market, many property owners find it difficult to dispose of their assets using the conventional methods. However, many real estate experts who close follow the trends in this market are of the opinion that such owners should opt for more strategic ways to sell their assets. They explain that in situation these owners need to think outside the box in order to dispose of their assets by considering a Section 170 bargain sale, which will go a long way in helping them achieve their objective of selling such property at the best possible price. The Welfont Group is a prominent name in the commercial real estate market in Tampa, Florida that has a reputation of being leading name when it comes to selling in vacant and undervalued real estate assets. Its clients comprise of prominent corporate real estate investors and institutions that fall under the category of tax-exempt as per the relevant provisions of Internal Revenue Code. 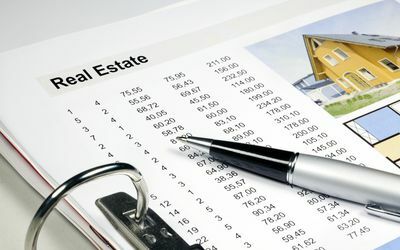 The professionals of this company assist their clients in locating, analyzing, financing, buying, managing and selling commercial properties using tax strategies that the Internal Revenue Service approves such as 1031 exchange along with IRS Section 170 Bargain Sale. People who attentively read the Welfont Reviews will come to know that the professionalism and quality of service that the experts of this company provide its clients set them apart from their competitors in this field. How can IRS Section 170Bargain sale help? The professionals of this corporate enterprise elucidate that many corporate owners have commercial properties that are currently vacant and outdated. However, they still have to bear the costs of maintaining such assets in the form of security, electricity, rent and property management that exceed its inherent benefits. In such a situation, it is imperative for them to consider avenues to dispose of such property that are contrary to traditional modes of selling. In many cases, opting for a Section 170Exchange is a more viable option for such businesses as it offers many economic benefits that offset the advantages of a traditional sale. In such a sale, the owners of the real-estate asset can dispose of the property by donating it to a non-profit charitable organization, where they receive the entire monetary consideration for the exchange along with other tax benefits. In addition to this, they also get an opportunity to fulfilling their desire to contribute to society in the form of philanthropy. These sellers get pleasure from the satisfaction that they are making a positive contribution to society by help people who are less fortunate than they are. Potential investors who browse through the positive Welfont Reviews will know that the professionals of this real estate company leave no stone unturned when comes to helping clients to execute their charitable desires.